Flowers origami has been catching my attention for years. I stumble in one of my friends party with loads of giant paper flowers. The decorations is superb and majestic. 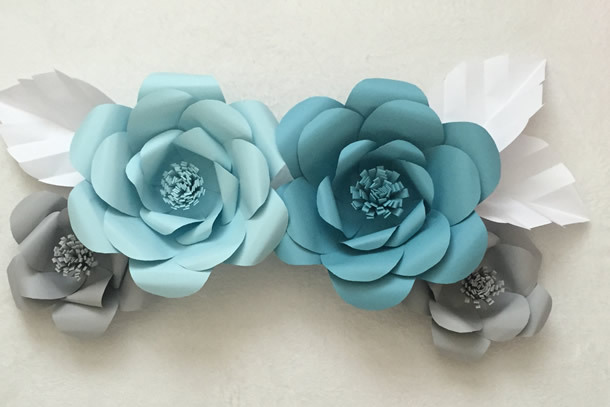 Now, I want to make a tutorial about making DIY giant paper flower. I found it very simple and easy. The steps and preparation are simple too. Follow the image below. Nos. 2 represent the petal sizes. The medium size is about 3 cm in height. The smaller petal is about the size of A4 cut in half. follow the gluing procedure carefully. Glue must be put at the bottom part of each petal. Form the outer petals of giant flower see image 7. Make 3 similar group of petals according to their sizes. Stick the different size of petal one after another by stacking the largest at the bottom first. Stick rectangular colored paper to seal the hole formed. see image 9 and 10. Complete the whole flowers by filling the remaining space with cut paper see image 11, 12 and 13. Enjoy your Giant paper flower.